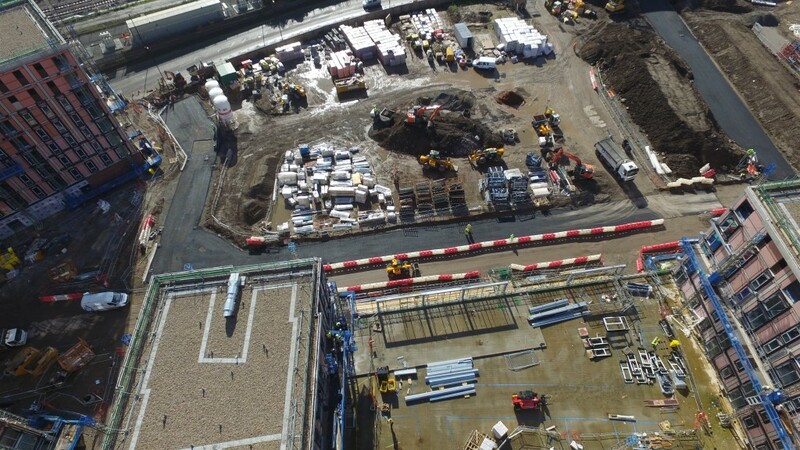 This project follows on from the demolition of 19th Century railway arches, https://www.murraywood.com/embankment/, remediation of the existing ground (including full obstruction removal and service isolation) and the piling works. The project consists on a full substructure package (up to and including the ground floor slabs) for three high-rise apartment blocks providing 356 private rental apartments and 147 medium term aparthotel units across three towers. The towers are 17, 15 and 17 storeys respectively. Installation of service ducting to facilitate the installation of communications, data, HV/LV cabling etc.